The night sky is a wonder to behold. It’s even more amazing in those dwindling number of places left on our planet where it’s still dark enough to see the stars in all their glory. 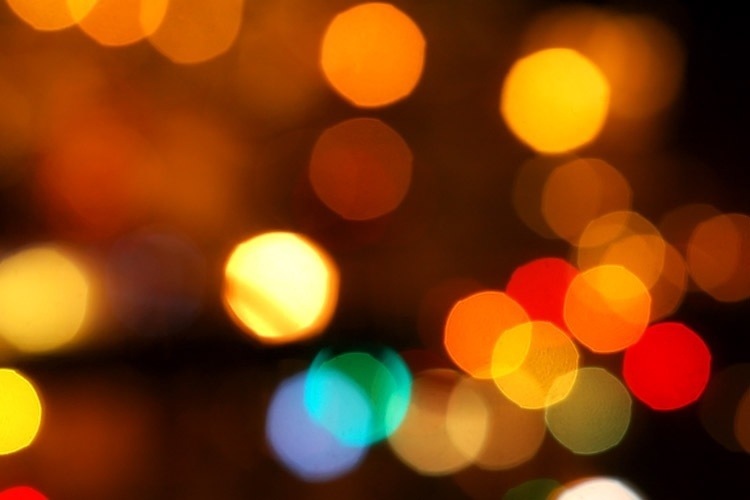 City lights, even porch lights, can create something called “light pollution” which causes all but the brightest stars to fade from view. But there are a few places which are dark enough to reveal what lies above us. The west coast of Ireland is one of these places. 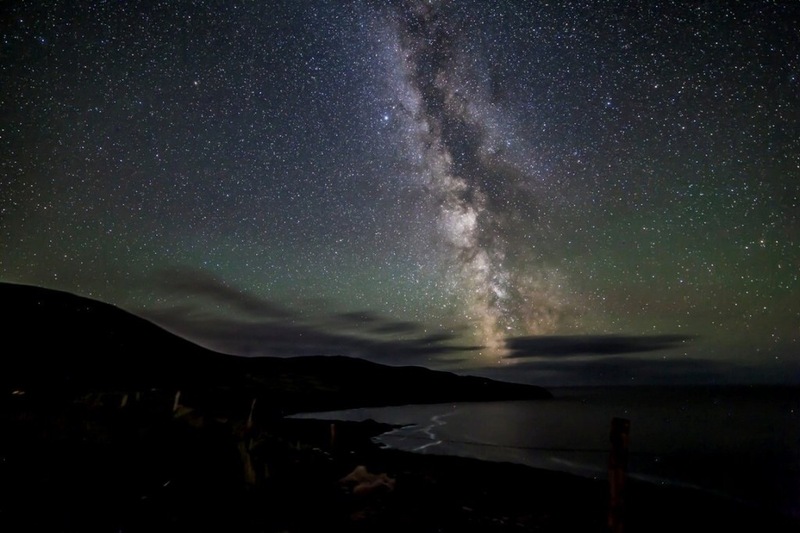 County Kerry is home to an international dark-sky reserve which is like a national park dedicated to keeping the night sky as dark as possible. There you can look up and see millions and millions of stars. It’s overwhelming and almost unbelievable. The Milky Way is really densely white with stars, like a huge brushstroke of milk across a jet-black infinity. Once you experience this kind of night sky, you”ll never be the same again. It makes it easy to understand why human beings have always been fascinated with the stars. Turning our faces up to the heavens, gazing at countless points of light makes us wonder what our place truly is in all the vastness of space. 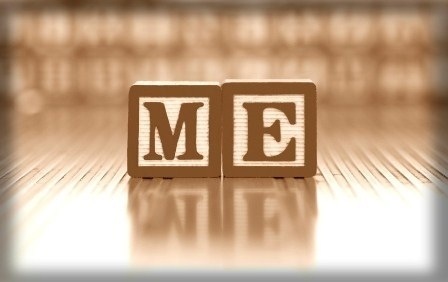 We ask ourselves the big questions: Who am I? What’s the purpose of life? Is this all there is? Who made the universe? Can I know the Maker? Looking up awakens in us a deep desire to know the answers to these questions. In fact, the word “desire” comes from the Latin “de sidere” which means “from the stars.” There’s a connection between us and the heavens. Carl Sagan used to say that we were made of “star stuff.” I think he was right. I believe that our hearts are drawn to what lies above us because it’s where we came from and it’s where we long to return, not in an “ET” sort of way, but in a much more miraculous journey. The season of Christmas is the story of our journey to our true home. It’s the story of all our heart’s desires coming true in the most unexpected way. The Maker of the universe is born in a stable, to a Virgin. A star announces His birth. Angels fill the night sky with music. Kings from faraway lands come to worship Him. The Eternal has left heaven to step into time, into our world, into a body like ours, into a human family. God knew that we couldn’t make it home on our own. We needed a ladder to get to heaven—and that ladder is Christ on the Holy Cross. His love and sacrifice is the only way to reach it. The Nativity of The Lord is the singularity of eternity. Scientists use “singularity” in an attempt to describe events or conditions which are unique. The birth of Jesus is beyond all definitions of singularity. Time itself is divided into “before Christ’ and “in the year of our Lord.” We measure humanity by the moment of His first breath because at that instant, everything changed. Hope entered the world. Love became one of us. We can know the Maker of the stars, and know that He loves us Heaven has come to earth. On a clear night in County Kerry, you can look up and see a blazing swath of stardust. You can feel the immeasurable depth and breadth of the universe soaring over you. You’ll see stars you’ve never seen before. And you can know that the God Who made all these stars, made them for you. And on clear night in Bethlehem, He was born so that you could know the kind of love that would create a universe for you and die on a Cross to give you heaven. “Life up your eyes to the heavens. Who created all these stars? His father didn’t think much of him. He was always being overlooked and forgotten especially when his older brothers were around. His dad had an important job and was anxious that his boys follow in his footsteps. All but the youngest. His dad didn’t even like to let him eat his meals with the family. Pretty soon, the young boy stayed away from the house most of the time. That’s why he wasn’t at home when the great man came. Samuel was a prophet of God and it was God Who had sent him to Jesse’s house. Samuel was sent looking for the next king of Israel and God had told him to look for him among Jesse’s sons. But after he’d seen all of the them, the prophet was still seeking the one God wanted as king. The older sons that Jesse was so proud of, just hadn’t measured up. “The Lord does not look at the things people look at. People look at the outward appearance, but The Lord looks at the heart”(I Samuel 16:7). Jesse finally admitted that he had one more son—the youngest, who was out in the fields tending sheep. When the boy came into the room, The Lord told Samuel, “Rise up, anoint him, for this is the one!”(I Samuel 16:6-12). When St. Luke tells us the story, he says the Lord’s thoughts were these: “I have found David, the son of Jesse, a man after My own heart, who will do all My will”(Acts 13:22). David’s own mother said something remarkable at the moment of his anointing: “The stone that was reviled by the builders has now become the cornerstone”(Psalms 118:22). Later, Jesus will use these very words to describe His own life (Matthew 21:42). God says David is a man after His own heart and calls them each “the cornerstone.” Surely David is someone very beloved by God. And yet we know the flaws in David’s heart, don’t we? He looked with lust on another man’s wife and arranged for him to be killed so that David could have her for himself. This adultery and murder haunted him for the rest of his life. David loved God and God’s law and he knew the depths of his sins. His sorrow and repentance were genuine. 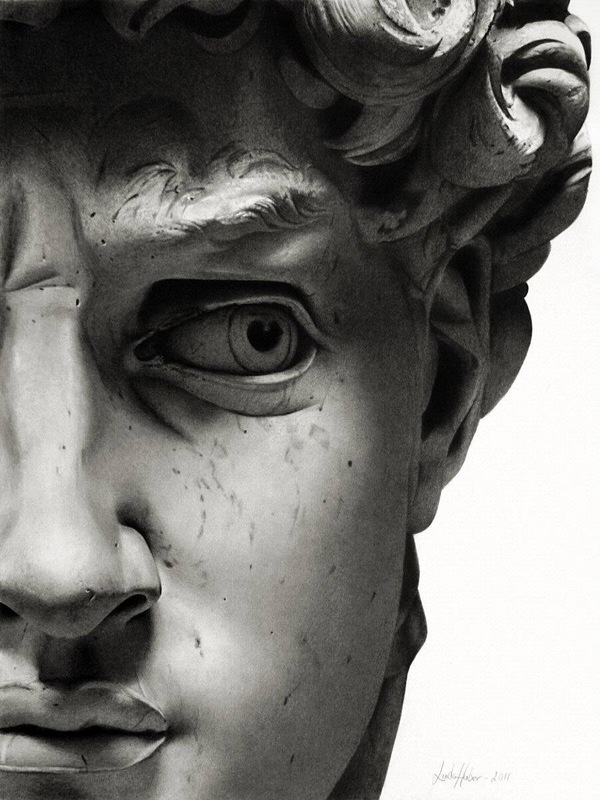 David always looked to God for strength and for mercy. He was thankful for God’s abundant blessings. David wrote many of the Psalms, which reveal all the emotions of his life. For me, the Psalms are a great lesson in learning how to pray. David hid nothing from God and the Psalms are full of sorrow and of joy, of gratitude and of repentance. They’re also replete with frustration and anger, regret and vengeance. Whatever David was feeling, he shared with The Lord. If David was a man after God’s own heart, it was this openness and sharing that God truly loves. David sinned but he asked for mercy. He repented. He praised. He doubted. He gave thanks. His heart and soul were always open to God. Though he was a flawed man, like each one of us, David never allowed his faults and sins to turn him away from God. He kept praying. He kept praising. He kept asking God what He wanted of him. This is David’s great lesson for each one of us. No matter what, keep talking to God. Don’t hold anything back. Don’t censor your prayers, but let The Lord into every moment of your life. There’s no sin that’s beyond His mercy. There’s nothing you’ve done that could make Him love you less. David reminds us that God can do amazing things even with those of us who feel forgotten or overlooked, too sinful or unworthy, or just nothing special. The Lord can make His home in our heart, if we allow Him. A shepherd boy can become a giant-killer and a great king. His family can produce the Savior of us all. And David danced before The Lord because he couldn’t contain his joyful love of God. May we look to the New Year through David’s eyes, placing all our trust in Him. The news is never good. As we come closer to Christmas it seems that we’re even more divided and torn than ever before. But that’s not really true. It just feels true because we’re living through it. We’re having to explain words like “chokehold” and “grand jury” and “waterboarding” to our kids or grandchildren. You see, ever since Eden the news hasn’t been good. We’ve been hurting each other in a million of the same old ways since sin entered our world. Murder and slander, hatefulness and division: these are the passwords of our hearts. The history of humanity has in some ways been the history of how we mistreat one another. There is a wound deep within us that makes it easier to harm than to heal. It starts in our hearts and minds and then spills out in our words, until finally, we act. They say that pride is the first among the sins. Surely it was pride in Lucifer’s heart that led him to reject God. It was pride seething in Cain’s heart that led him to kill his brother, Abel. It’s the “gateway drug’ to a sinful life. “Pride is the beginning of sin” (Sirach 10:13). One of the first hallmarks of pride is judgement. Whenever you feel like judging someone, you can rest assured that the sin of pride is at work in you somehow. Now we’ve all heard that Scripture (i.e. God) teaches us not to judge other people. That doesn’t mean that we, as Christians, can’t use our God-given intellect and reason to know good from evil. We know that murder is wrong. We know that child abuse is wrong. We can know that actions and behaviors are wrong and offend God. What we can’t know and can’t judge is the landscape of another person’s heart. We don’t know their souls or their motives. We don’t know their weaknesses, their hurts and their own past wounds. This doesn’t mean they shouldn’t be held accountable for their actions, in almost every case. But when we find ourselves judging hearts and souls, we make ourselves into God. Or we try to. Only God can know what beats in someone’s heart. Only God can know what sort of justice a soul needs or deserves. God made our souls, so only He can know what medicine can heal them and make them whole again. When we judge a person—not their actions—but who they are—we’re being prideful. We’re playing at being God and that’s dangerous ground. It’s holy ground. It’s breaking the first commandment. Even when we judge ourselves. We offend God when we judge another person’s heart. And when we we judge our own heart, too. If we think that we’re beyond His love or mercy, we’re playing at God. If we believe that our sins are so horrible or unforgivable that God could never show us mercy, we’re playing at God. This sort of thinking keeps us away from Him and when we don’t approach God, we’re trying to take His place. Our Savior opened His arms wide on the Cross so that we could come to Him. He took on our sins so that we could be freed of them. He took the punishment that we deserve, so that we wouldn’t “get what we deserve.” The Gospel isn’t karma. The Gospel is love. And so in the midst of all the day’s bad news and name-calling and talk of justice and torture, remember that God is in control. We’re not called to sit in judgement, but to take up our cross and follow Him. The promise of Christmas is the fulfillment of our hope for peace on earth. And peace in our hearts. Advent is upon us and we’re anticipating the joy of the Christmas season. Many have already put up their trees and decorated their homes and yards with garlands and lights. You may have hung stockings on the mantle or put a Nativity scene on the hearth. This is a season full of the beautiful images of our faith. They are reminders of what we love about this time time of year: the birth of our Savior, the warmth and love of our family and friends, and the hope of peace on earth. It just wouldn’t seem like Christmas, as we’ve come to know it, without the decorations and the lights, the trees and the presents. We Catholics love these holy reminders of Christmas, and all the other seasons of the Church year, too. Our churches are filled with sacred art, like paintings and statues. Many of them have windows of stained glass that show the life of Jesus and the saints. You’ll see crosses made of wood or bronze and marble floor tiles. You’ll see the suffering face of Jesus on a crucifix. Everywhere you look, you’ll be reminded of the God Who made us and loves us and died to save us. And yet there was a time in the history of our faith when it was illegal to display a crucifix or to hang a painting of Jesus or the Holy Family. There was a time when the government sent soldiers to churches to burn them to the ground—after they’d looted them of anything of value and smashed the statues and the stained glass windows. Irreplaceable libraries of rare books were set ablaze and lost forever. When the soldiers were done, not a stone was left on another stone in many places. Families who had worshipped in the same church for dozens of generations were left without a parish, without the schools for the children and without the help that the church had provided for the sick, the needy, and the aged. They were left without their priests, who were killed in some cases or imprisoned, or forced to live as beggars on the street. There is a darkness in the world that sometimes takes root in the hearts of men. It seeks to destroy the good and the beautiful because it hates anything that reminds the world of the Light. The darkness often masquerades as reform, or as a kind of justice. It carries itself with a prideful self-righteous attitude of assurance and zeal. Many are drawn to this darkness because it is attractive and popular. It is intriguing in the way that it offers and easy fix for complex problems. We weren’t created for the darkness, but because it lives in our world, it knows us; it knows our weaknesses. It weaves itself into our culture and government, shifting with the changing times and popular opinions. We’re seeing a surge of this darkness in the Middle East, as thousands are murdered for their faith in Christ. Their homes and churches are being destroyed. This is happening today, in our time. But we’ve seen it before. In England, during the 16th century, the Catholic Church was “suppressed.” This is a kind word that historians use to describe looting and murder. In the space of a few decades, hundreds of churches and monasteries were destroyed and their properties seized, like I described earlier. Mass was made illegal. It has taken centuries for the Catholic Church in England to recover from this period of their history. Some may argue that it never has. Certainly the art and architecture lost during that horrible time can never be replaced. But the light of faith, though dimmed for a time, is bright there once again. This week we lit the second candle of the Advent wreath. On each of the next two Sundays, we’ll light another candle, til all glow brightly. The candles remind us of the Light of Christ, which overcomes the darkness of a broken world—whether that darkness lives in medieval England or modern-day Iraq, or in our own heart. We remember all those faithful Christians who have gone before us, bearing the light of faith and we beg their prayers for a world in need of every possible holy reminder of God’s love and mercy.